[Solved] : How to Recover Deleted Files And Folders From PC? Home > Computer • Data Recovery > How to Recover Deleted Files And Folders From PC? How to Recover Deleted Files And Folders From PC? Summary: Well, there is surely no way to get rid of data loss. 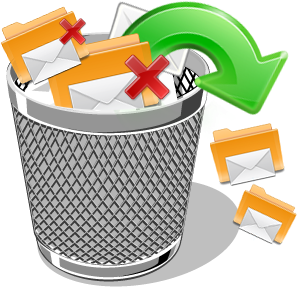 When you deleted files and folders from PC, it is advisable that stop using the device and doesn’t try random methods. Looking for ways to recover deleted files and folders from the PC is the ultimate option. Data loss is a most common occurrence in the IT and digital era. Given the fact that not just the companies, but even as an individual, are highly dependent on Windows PC, or smartphone, hard drives to store data be it media files or documents. Corrupted or crashed hard drive. Voltage Issue, or power failures. Do not use your system or the device, when data loss happens. Do not overwrite data, because overwritten data can’t be recovered. In this article, we would be discussing how to recover deleted files and folders from PC. Let us begin with explaining to you how does accidental deletion of the data happen. When you are planning to delete unusual stuff or specific files or folders from your computer, but you press shift+delete instead of delete. This is wrong and ends up with deleting files and folders permanently rather than just removing it from a particular location. Hence, the chances of recovering the lost data are least. And you are not alone, many of the users have got themselves trapped into such data loss cases. Yes, you can try to recover the files with the Backup, but that is only possible if you are backing up your data regularly. Or else, there’s no scope to recover data unless you contact a data recovery service provider. Stop scratching your head, or cursing your luck, we have got you the finest data recovery solutions. And, this can help you recover deleted files and folders from PC, docs such as Excel, Word, PDF, MS Office, etc. Restoration of the files and folders from the prior versions are most common. Best ways to recover deleted files and folders from PC? Download Data Recovery Software on your system. That’s true. Data recovery utilities have turned out to be one of the cost-effective solutions. They are mostly known for their user-friendly interface, design and fast processing. Certainly, these tools are a DIY to recover deleted files and folders. However, not just any data recovery software can aid you in your loss. You have to filter the options and choose the best software to recover files and folders. That said, the data recovery utilities can work in only logical damage. If you have crashed the hard drive due to any physical damage, or are not okay with the idea of using software, then the data recovery services can help you to get back your data. An excellent escape for the beginners and non-technical users, Windows Data Recovery Software. It comes with smart (advanced and user-friendly) features to let you restore all your data from the hard drive that is logically damaged. Trusted by 2+ million clients, this tool is robust and the best option to recover deleted files and folders from PC of different formats and type such as emails, videos, audios, and photos. Recover lost data from failed hard drives/SD card/Memory card etc. It can recover Ms word; ms excel, ms office files and folders. Recover data from many file types and many storage devices. 100% accurate, reliable, and safe. Provide free version that recovers upto 1 GB data. You can make the most out of the premium data recovery software, but if your hard drive has physical damage, only a professional data recovery can help you fix it. Data loss can happen due to many reasons, the damage done to a hard drive is external that causes its internal parts to crash or bear through the burden. And you can’t open the hard drive and fix it on your own, as it can be prone to more damages. Since it is a process that should not be undertaken in a normal environment. So, avoid hit and trial methods. And submit the hard drive to the data recovery center. At Stellar, the data recovery experts carry out the physical data recovery operations of the impacted hard drives in Class 100 Clean Room lab to ensure the 100 safety of your data. Data loss can cause troubles to individuals and corporates. Although many of the users prefer taking backup of all files and folders on a daily basis. The rest fail to do it which leads to data corruption or deletion. The idea here is to make you aware of the robust data recovery options. That can help to recover deleted files and folders from PC up to 100%. Stellar is a pioneer in recovering lost data, due to its safe, secure and reliable data recovery software and services. Recover deleted files and folders from PC from all formats and all storage devices. How to Recover Lost/Deleted Word Document? How to Recover Deleted CCTV Videos, Photos or Footage ?